The Privilege Peach stands out for its exquisite taste as well as for its freshness. With a velvety skin it has yellow or whitish flesh, depending on the variety. Its flesh is meaty, sweet and juicy, with the unique and very Mediterranean taste. As regards its nutritional qualities the potassium is outstanding, as well as the provitamin A, vitamin C, fiber and hydrates. The Privilege Flat Peach stands out for its organoleptic qualities and its balanced sweet taste, giving it the real Mediterranean taste. We let it ripen on the tree till its optimum ripeness is reached and we pack it with maximum care and expert handling to maintain all its nutritional properties. In this way we manage for our flat peach to be a product of reference for the most demanding consumers. The apricot, same as the flat peach, is an exclusive product with outstanding organoleptic qualities and a balanced sweet taste, giving it the real Mediterranean taste. We let it ripen on the tree till its optimum ripeness is reached and we pack it with maximum care and expert handling to maintain all its nutritional properties. Thus we ensure that the apricot reaches its final destination in the best possible condition. We grow and produce the Privilege Pear in the best areas of the northeast of Spain for them to develop all their best properties and characteristic taste. They stand out for their granulated, sweet and aromatic texture and they are harvested and packed very carefully to maintain their unmistakable Mediterranean flavor. From the nutritious point of view the Privilege Apple is one of the most complete and rewarding fruits to be consumed. It is very refreshing and hydrating. They are harvested at their optimum point of ripeness and manipulated with extreme care to preserve their original qualities which make them a unique and much appreciated product. Alveolo 1 manto. Piezas con sticks y cubre. The Privilege Kaki is one of our star products, the most characteristic and unmistakably unique. As much their sweet taste as their attractive orange color bestows them with their so highly appreciated attributes. Their excellent firmness gives them an unbeatable quality to handle and preserve them. Due to their provitamin A content, their consumption is recommended for everybody, especially for those who follow a low fat diet or those who have higher nutritious needs. 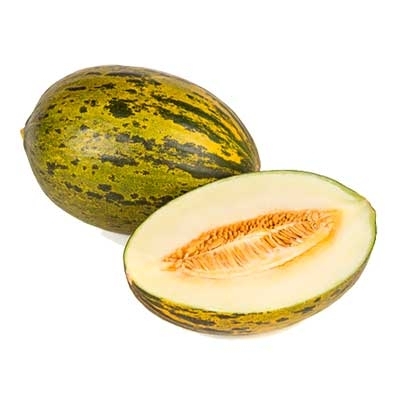 Our Privilege Melons are grown in the best areas by expert hands and they are harvested only at their perfect point of ripeness to ensure their unique, sweet and balanced taste, which any good palate will appreciate. The Privilege Watermelon is grown in the most fertile areas of the Mediterranean basin. Its freshness and its sweet and characteristic taste bestows it with its so highly appreciated properties, the one outstanding being the risk reduction of suffering certain diseases related to the pancreas and the colon. Its consumption is also recommendable when suffering from kidney stones, high uric acid levels, high blood pressure and other illnesses which provoke liquid retention. Privilege grows and selects the best strawberry varieties to satisfy the palate of the most demanding consumers. Their excellent taste and juiciness bestows them with their unique and highly valued properties. Outstanding is their supply of fiber, improving the intestinal transit. As regards other nutrients and organic compounds, strawberries are a good source of vitamin C and citric acid.